My Mother's Lesbian Jewish Wiccan Wedding was nice. This musical comedy which has been playing at the Panasonic Theatre for the past month is a coming-out tale based on a true story written by Toronto musician/actor/playwrights David Hein and Irene Carl Sankoff. The show began as a smash hit during the Toronto Fringe Festival last summer. When David Mirvish saw it, he instantly loved it and made plans to bring it to the masses, resulting in this expanded, more elaborate production, directed by Andrew Lamb. Aside from her potential discomfort of watching the Hot Lesbian Action scene while sitting next to me -- it's actually pretty PG -- we both really enjoyed the show. There's plenty of fun and informative Canadian content in the musical: The double-entendres about beavertails during the We Fa La La La La Love Winter song made me blush. The song A Short History Of Gay Marriage In Canada was smart and progressive. When Hein sings "I'm not gay, but I go to Pride Day with my lesbian mothers by my side" in Straight, White Male you can tell he writes from the heart. This 90-minute production (without intermission) never misses a beat. It's got original, catchy songs, such as Legalize Love. The story takes place from 1990 to the present and sneaks in some Canadian musical references from Bryan Adams to Glass Tiger. 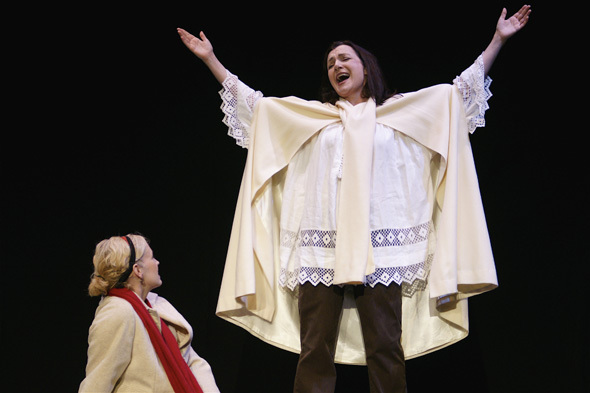 The singing is strong, particularly in the role of David's mom Claire, played by Lisa Horner. 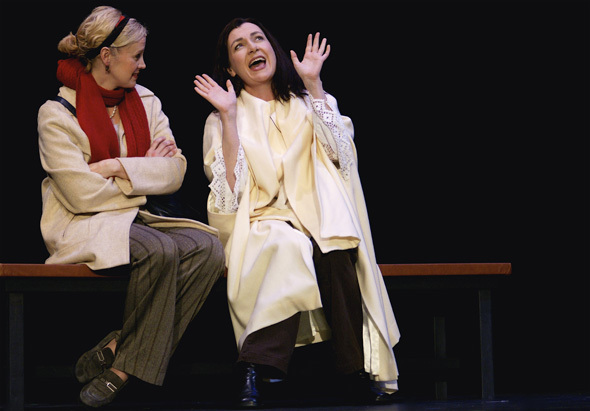 While there's great chemistry between Horner and Rosemary Doyle, who plays Claire's girlfriend Jane, the connection between Hine and his on-stage girlfriend, played by Lori Nancy Kalamanski, was lacking at times. I'm sure there's a reasonable explanation, but I was left wondering why Sankoff (who plays a handful of roles) couldn't also portray David's girlfriend/wife on stage, like they do in real life? One of the many pleasant surprises in the show is actor Kyle Orzech. Once he outgrew the role as Young David, performed by Hein himself in the latter half of the story, Orzech appeared in one scene as the Trainee with the Hooters Staff & Patrons, dressed as one of the Hooters girls. 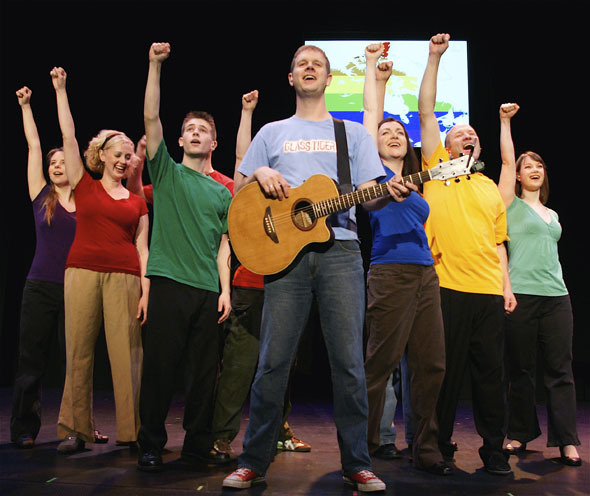 Filled with plenty of songs that are sure to touch the hearts of audience members, this is the type of show that appeals to a variety of audiences, whether they're mothers, lesbians, Jews or Wiccans. Or none of the above. My Mother's Lesbian Jewish Wiccan Wedding plays Tuesdays through Sundays at 8 p.m. (with additional matinee shows at 2 p.m. on Saturday and Sunday) at Panasonic Theatre (651 Yonge Street) until January 3, 2010. Tickets are $25 - $60.